Last week I attended my third Jamboree, the Southern California Genealogical Society’s annual conference, in Burbank, California. This year I crossed the imaginary divide and became a speaker as well. 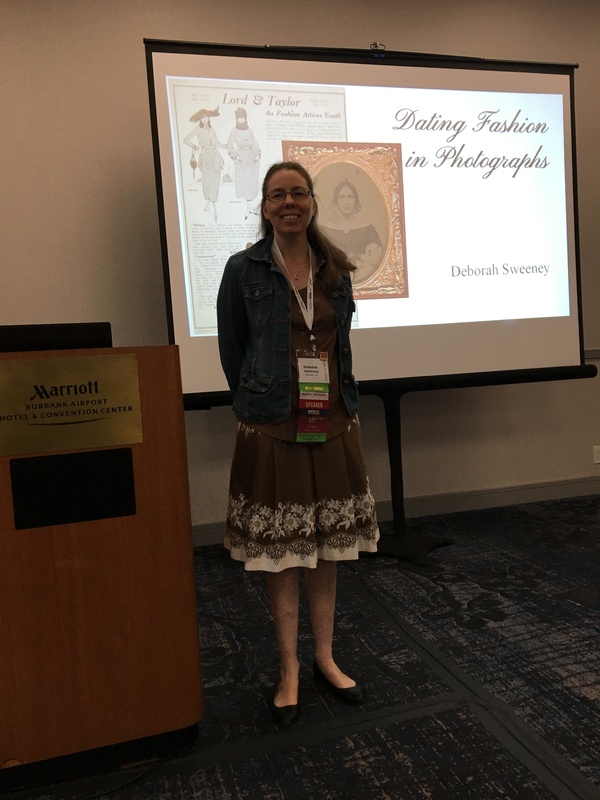 On Saturday morning, I presented one lecture, Dating Fashion in Photographs, and then sat on a panel The Next Generation: Young Genealogists and Your Society. As usual the conference was a blast. The committee did an excellent job making everyone feel welcome. And in one case, when a session was too full, the speaker gracefully consented to give his talk again later that same evening. Divided into two parts, Jamboree begins with a separate DNA day on Thursday, then continues Friday thru Sunday with a wide variety of lectures and a full lineup of vendors in the exhibition hall. I generally arrive Wednesday afternoon and leave sometime Sunday morning. Over the course of this year’s Jamboree, I attended seventeen sessions, one banquet with keynote speaker Debbie Kennett, and the NextGen meetup. I hosted two ProGen meetups, sat in the Author’s Nook, gave one lecture, and participated in a panel discussion. Most importantly, I connected with old genealogy friends, and made a lot of new ones. 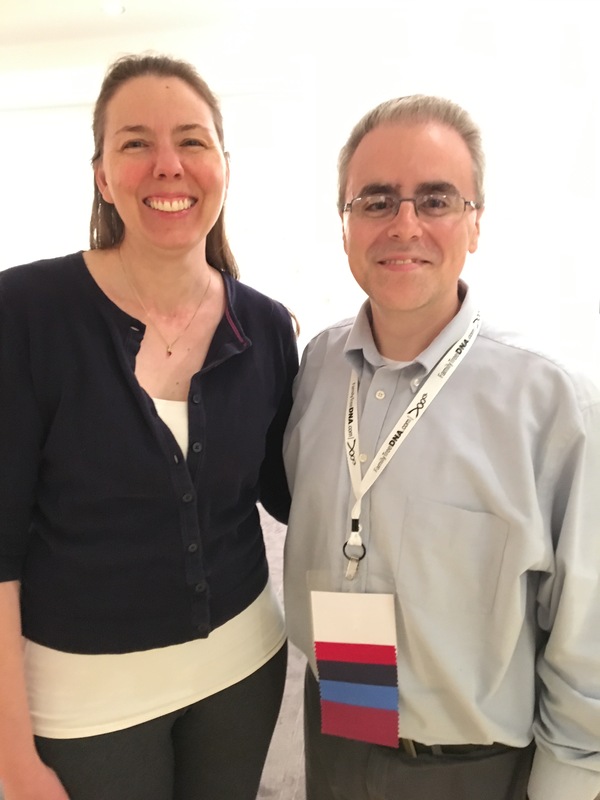 At home, I have few opportunities to connect with fellow genealogy enthusiasts and professionals in person. It was wonderful to talk about genealogy and share family stories, without people’s eyes glazing over. I’m sure you know what I mean! Various ProGen members, including Blaine T. Bettinger, Patricia Stanard, Lisa Gorrell, Mike Bronner, Jill Morelli, Dennis VanderWerff, Jane Neff Rollins, Janice Lovelace, Annette Burke Lyttle, Janice M. Sellers, Elissa Scalise Powell, and me (Deborah Sweeney). I always like to hang out in the lobby when I arrive in Burbank. It’s a long day for me since I drive from Northern California. It’s a great way to find old friends and make new ones. Plus I usually get some knitting done, like this sweater. 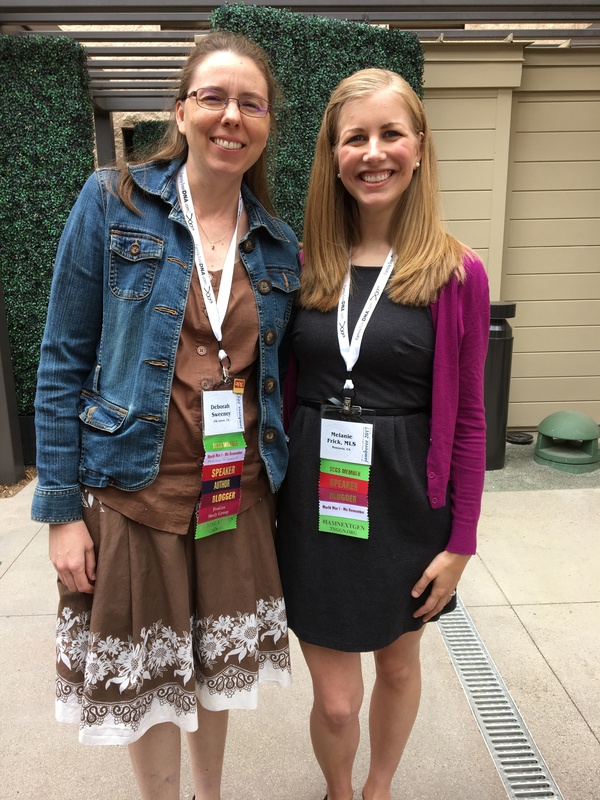 This year I didn’t get to spend as much time with fellow genealogist (and panel leader), Melanie Frick. But we found time to take our annual photograph. Blaine and I spent 18 months in the together in the ProGen Study program. We always take a reunion photo! Maybe someday we can convince the rest of our group to come to Jamboree as well! Ready to speak first thing Saturday morning! My session was packed! Over 60 people came to hear me speak. Audio of my presentation is available through the Jamboree website. 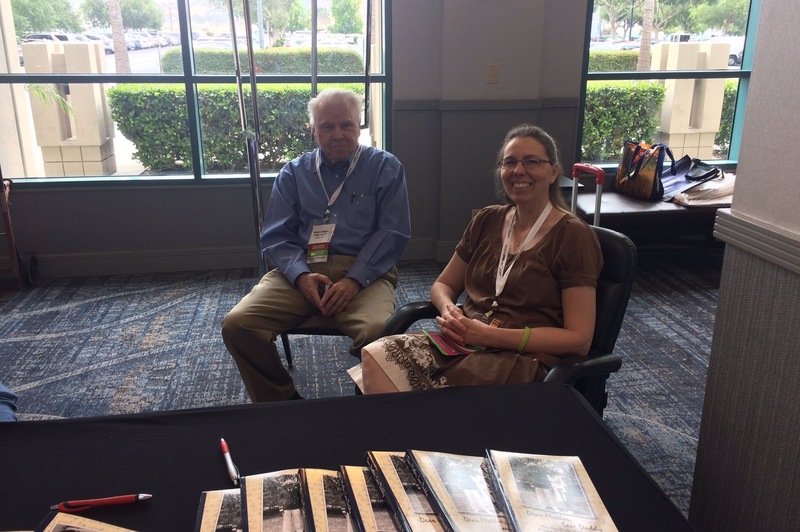 While hanging out at the Author’s Nook, I was able to meet Northern California’s resident certified genealogist (CG), James M. Baker. It was great to finally meet him in person, instead of just hearing about him. 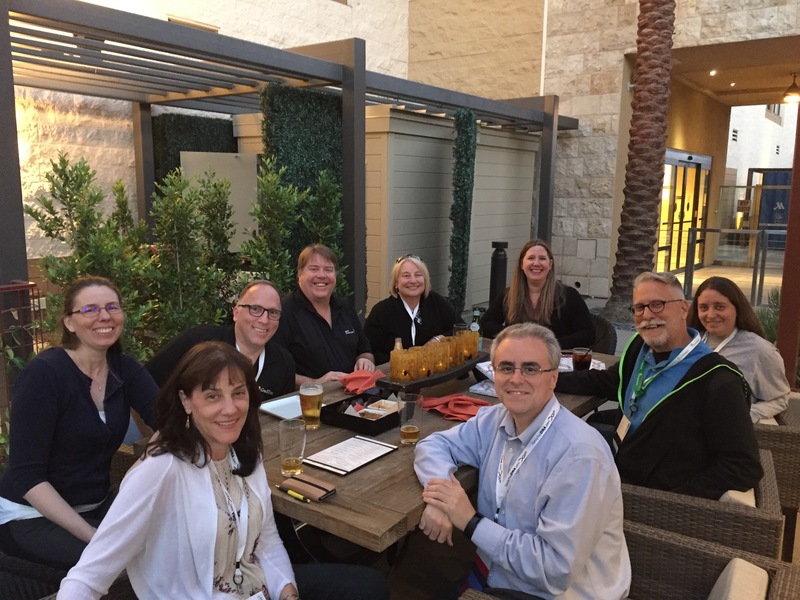 I spent a couple evenings hanging out with a fantastic group of genealogists, including Lauren McGuire, Lara Diamond, Debra Dudek, Brad Larkin, Mark Hammond, Jon Nedry, and Blaine Bettinger. After a LONG day attending sessions, it was great to sit back enjoy their company. If you have never attended an all day genealogy seminar or conference, I encourage you to do so. 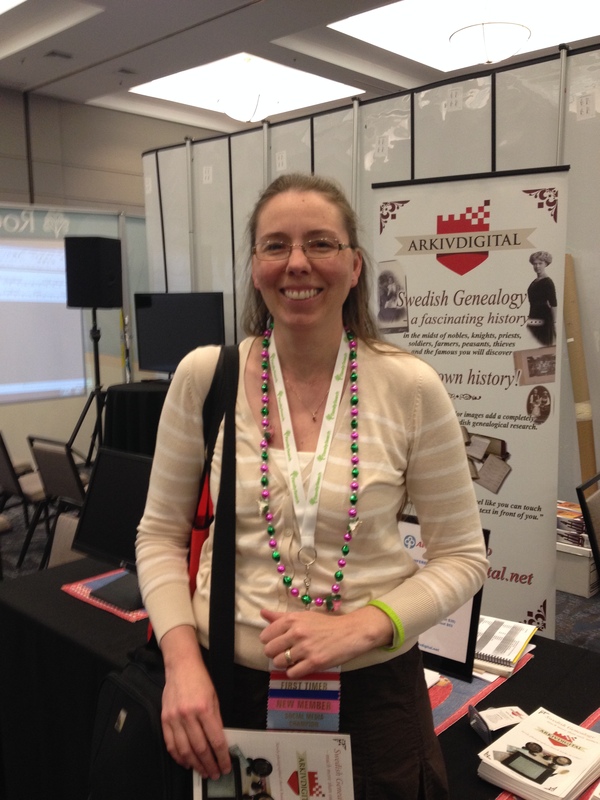 Conferences provide a wonderful opportunity to learn new skills as well as to network with other genealogists. Stay tuned this summer for an exciting announcement and a new series of blog posts. This entry was posted in Genealogy and tagged certified genealogist, genealogy, genetic genealogy, professional genealogy, ProGen, Southern California Genealogy Jamboree on June 18, 2017 by Deborah Sweeney. For the past two years, I have attended the Southern California Genealogical Society’s Jamboree. Four days of genealogical heaven, listening to speakers from around the country, like Judy Russell, Elissa Powell, Dr. Thomas Jones as well as our top genetic genealogists CeCe Moore and Blaine Bettinger. This year I debut as a speaker. I am presenting one of my favorite topics Fashion and Photography. 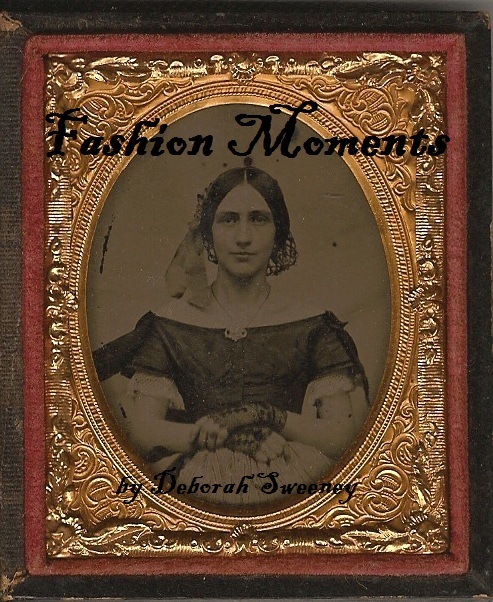 Some of my readers may remember the series I did a year or so ago–Fashion Moments. This lecture draws from that series of written blog posts. As some of you may know, there are many great free resources out there for identifying different fashion trends. Lots of eye candy, too! 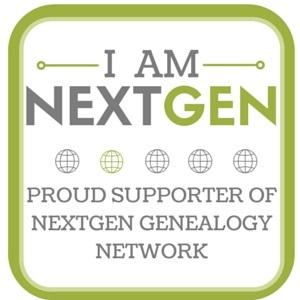 I will also be participating in the NextGen panel, discussing different ways societies can reach out to and recruit younger genealogists. Additionally, I will be be selling and signing copies of my books in the Author Nook. I hope to see you there! This entry was posted in Genealogy and tagged fashion, genealogy, NextGen, Photography, Southern California Genealogy Jamboree on February 26, 2017 by Deborah Sweeney. My genealogy calendar began to wind down at the end of 2015, and to be honest, between a heavy workload at school and life in general, I ran out of steam. However, with the arrival of the New Year, several upcoming events and my personal goals, I am looking forward to 2016. It is looking to be an exciting year filled with new adventures and new genealogy friends. Instead of having a section devoted to just my book Dear Mother, Love Daddy, I am going to condense this section to everything related to the books and the letters. Almost 1,200 letters have been transcribed and organized so far (since December 2012). I will continue to post a letter a day (or military related document) until all the letters have been transcribed. I still do not have a final tally of how many letters there are in the collection. According to my records, I have published 1,169 blog posts in which a letter was transcribed. This does not take into account the number of posts that did not contain a letter but rather a transcription of a document from Roscoe’s personal military papers nor does it account for the occasional letter which has been discovered amongst my father’s papers and has subsequently been forwarded to me. Often these rogue letters do not make the blog because they are so far out of sequence or context. It does not make sense to publish them at the time. They will appear in the published volumes of letters however. The first volume of letters has been in print for exactly 11 months. It is hard to believe that the first anniversary of its publication is quickly approaching, February 24, 2016. This last week I finally prepared several copies for donation to a few of the major genealogy and state library collections. For readers who may live in the Sacramento area, the library owns a copy of the book and it can be requested through the library’s loan system. Otherwise, copies of the book are available for sale through Amazon.com or contact me through the website to purchase an autographed copy of the book. I am hoping to have the second volume of letters ready by Memorial Day. I had hoped originally to publish this book around the anniversary of the first book. However, my schedule has not afforded me the time needed to successfully release the book at that time. 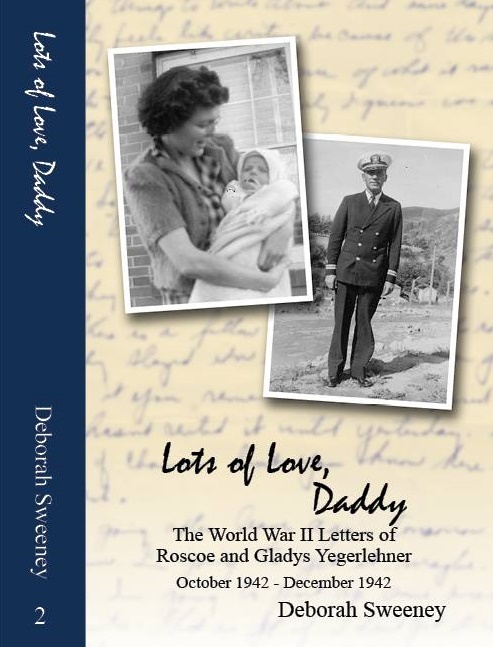 This volume will also be 150-200 pages longer than the first volume and will include letters written during October through December 1942 while Roscoe was stationed in Noumea, New Caledonia. My first draft of the book is currently 400 pages. This does not include the index, author’s notes, illustration/photo credits, or the cast of characters. I have tentatively engaged the services of a genealogy colleague to be my copy editor for this next volume. I am very excited to be working with her on this project. As the spring progresses, I will make a more official announcement. In addition, I need to begin work with my book cover designer. At this point, I have an idea but nothing concrete. I continue to volunteer one Saturday a month dispensing genealogy advice at my local library branch. Typically, my sessions are on the fourth Saturday of the month. Upcoming dates are January 30, February 27, and March 26. These sessions are by appointment only. Yesterday, I presented my second lecture – A Beginner’s Guide to DNA & Genetic Genealogy. The audience was wonderful! They asked lots of great questions, and hopefully, I did not confuse them too much. I am looking forward to putting together a third presentation later this spring, likely in April or May. 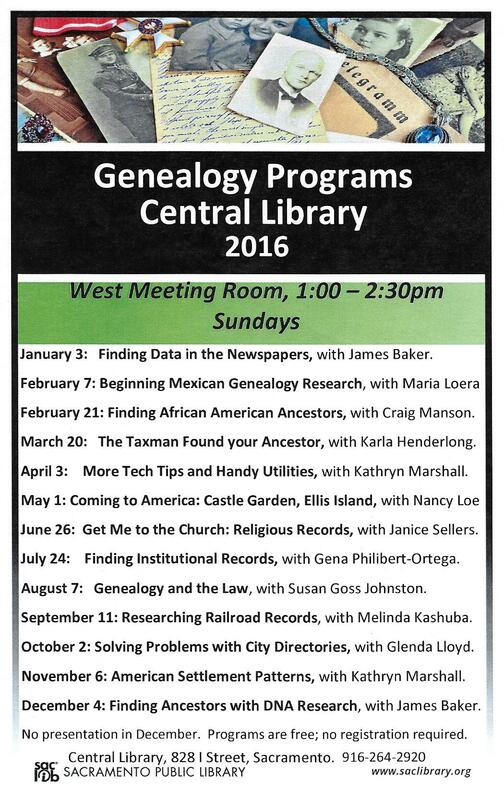 The Central Branch has their genealogy program schedule published for the year. All presentations are given on Sundays from 1:00-2:30 at the Central Branch on I Street, downtown Sacramento. There are some wonderful speakers on the list, including my colleague, Gena Philibert-Ortega, who reviewed Dear Mother, Love Daddy last fall on her blog. Gena will be presenting a lecture on Finding Institutional Records in July while fellow ProGen alumna Janice Sellers will be delivering her lecture Get Me to the church: Religious Records in June. It has long been my goal to become a certified genealogist. In order to achieve this goal, the applicant must submit a portfolio of work to the Board of Certification of Genealogists. This last week BCG president, Jeanne Larzalere Bloom, announced a new application process for certification. Some of the new requirements include evaluation of the applicant’s educational experiences and a limit of 150 pages for the entire portfolio. The new application can be found on the BCG website. Another colleague of mine suggested that I blog about my journey to certification (Thank you Jake!). 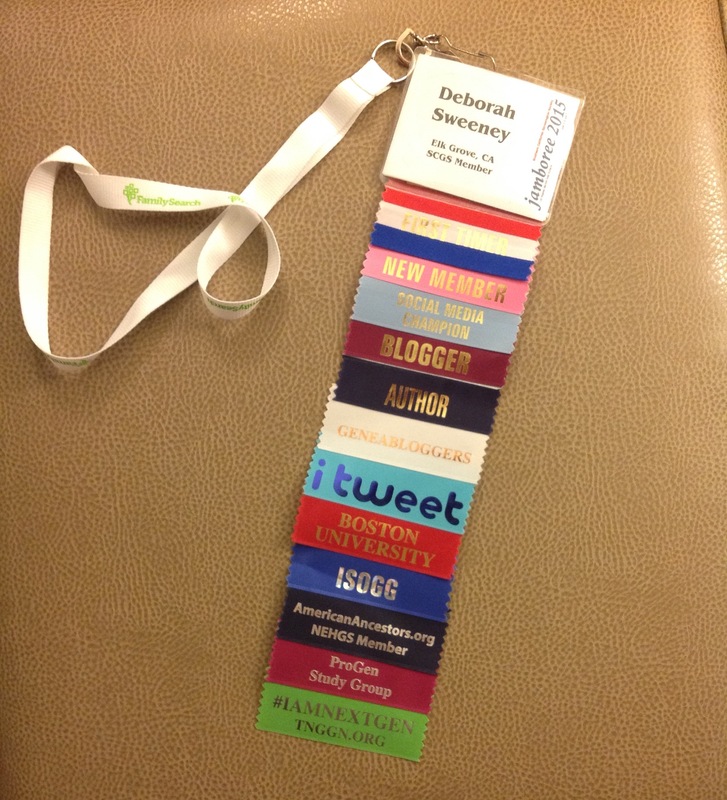 I have long been a fan of Jill Morelli’s blog Genealogy Certification: My Personal Journal. Jill is another ProGen alumna, and I had the pleasure of meeting her in person last year at Jamboree. Jill is already “on-the-clock,” as we like to say about the certification process. She has already submitted her application and currently has 3 months remaining before she must submit her portfolio. As I stated in my year in review post last month, I want to have my plan in place for certification by the end of this year. Most of the advice I have read (from people who have gone through the certification process) recommend having one’s ideas and preliminary research started before submitting the application. Blogging about my progress will hopefully keep me on track for my goal. A branch of my family that I will NOT be using for my portfolio! One of the main requirements for any item submitted in the portfolio is that: “No material in an initial application may have been reviewed, critiqued, or proofread by another individual.” For me, this means that none of my prior work submitted as coursework for Boston University or ProGen is eligible to be used for my portfolio. Over the last few years, I have tried to be careful about not writing and posting about every aspect of my family genealogy for precisely this reason. I had to keep branches of the family dark since they were potential portfolio fodder. One element of the portfolio is a Kinship-Determination Project (KDP for short). Three generations of a family must be presented in a narrative genealogy, narrative lineage, or narrative pedigree format. Within the narrative, proof summaries or arguments must be used, as appropriate, for at least two parent-child relationships. This month (OK this morning…) I think I have decided upon which branch of the family I am going to use for the project. My next step for the project will be to begin analyzing the documents I do have and begin assessing what documents I need to obtain. This month pre-registration for Jamboree began. I had so much fun last year and I am looking forward to attending this year. Stay tuned for more updates! I have signed up to take one workshop so far. I still consider myself extremely fortunate that Blaine Bettinger was in my ProGen study group. His knowledge of DNA and genetic genealogy is incredible and I looking forward to taking his workshop on Third Party Tools for Autosomal DNA. If you ever have the chance to hear him speak or lecture, do not miss the opportunity! 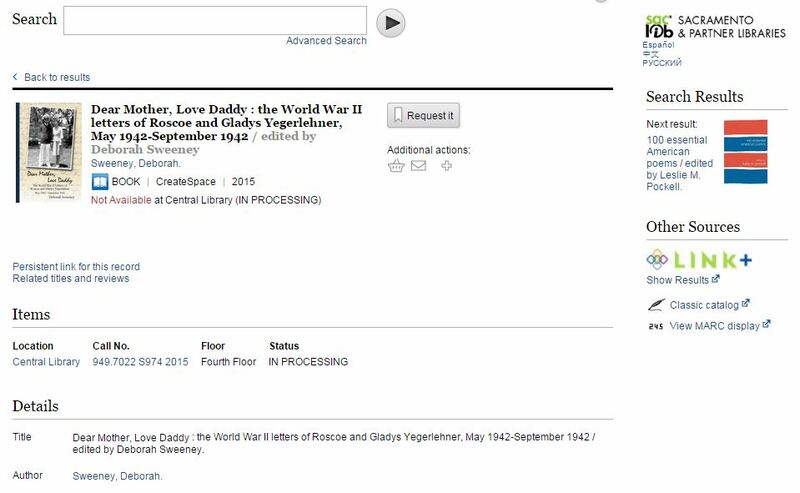 This entry was posted in Certification, Dear Mother Love Daddy, Genealogy, Lots of Love Daddy, World War II Letters and tagged board of certification of genealogists, Boston University Genealogical Research Certificate, Dear Mother Love Daddy, genealogy, kinship-determination project, Lots of Love Daddy, ProGen, Sacramento Library, Southern California Genealogy Jamboree on January 24, 2016 by Deborah Sweeney. I fully intended to post today about a fashion trend. I even have a partially written post. However, I have been in Burbank for the past few days attending the Southern California Genealogy Society’s Jamboree. I have been attending lectures all day, learning gobs of great new genealogy tips and techniques. I am also finally getting to meet some wonderful genealogists, some of which I have only known online for the last few years. So, dear readers, please accept my apology for not posting my weekly fashion post this Saturday. My plan is to finish writing the post once I get home in a day or two. In addition, I will be writing my monthly update within the next week or two. 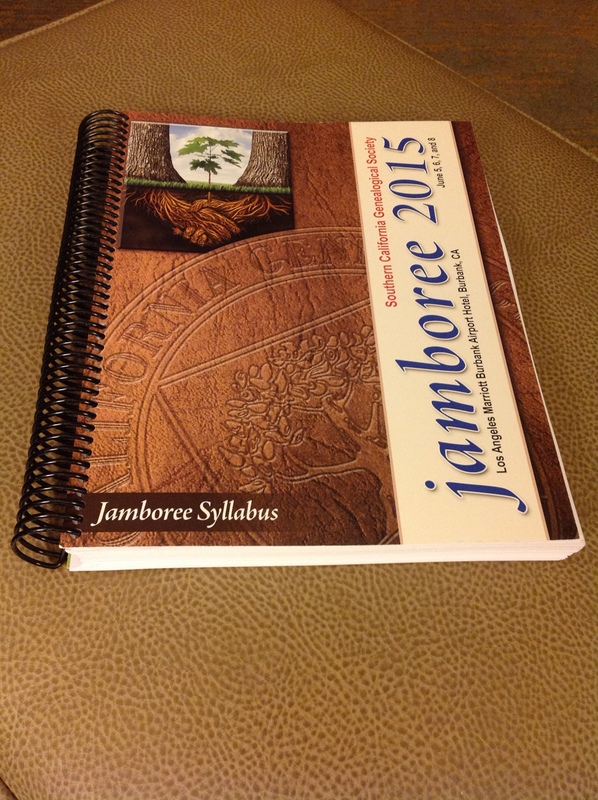 I will share some of the great ideas I have learned here at Jamboree. So stay tuned! 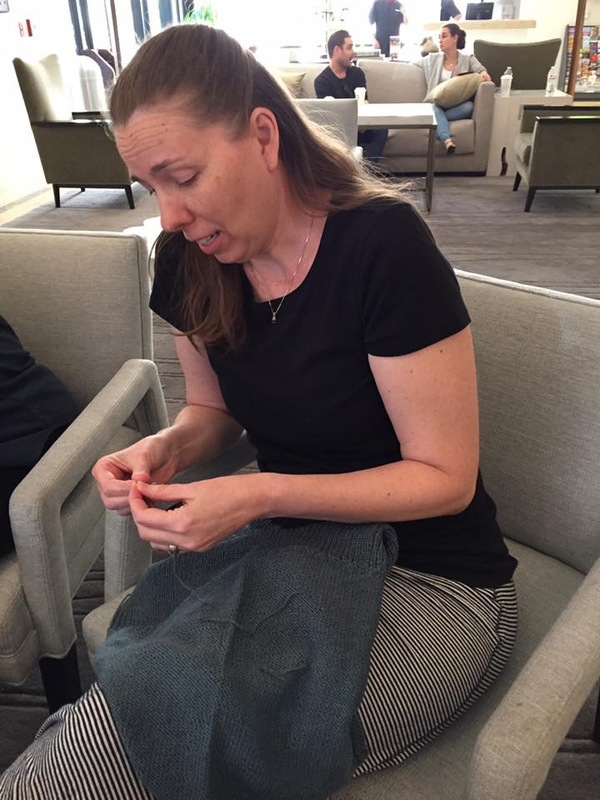 This entry was posted in Clothing, Fashion Moments, Genealogy and tagged genealogy, Southern California Genealogy Jamboree on June 6, 2015 by Deborah Sweeney. I have not set up a book giveaway this month so I am trying something new. I figured out how to offer discounts directly through the Create Space publishing website. For a limited time, using coupon code: 6AVMLLGB, Dear Mother, Love Daddy will be $12.99. The purchase must be through the Create Space store (not Amazon). Use the link to go directly to the book: https://www.createspace.com/4935415 Please let me know if you encounter any difficulties using this method. My newest shipment of books has arrived. Exclusively through me, I am offering autographed copies of the book for $20. Priority mail shipping is included. Send me a message through the contact form on the website. For anyone attending Jamboree in southern California in June, I will have a few copies for sale for $15. I have contacted a few World War II museums including the National Museum of the Pacific War in Fredericksburg, Texas. Since Roscoe served in the Pacific, this museum was responsive to receiving a donated copy of the book for their archives. The number of museums and libraries I have contacted who have not responded has been slightly disheartening. 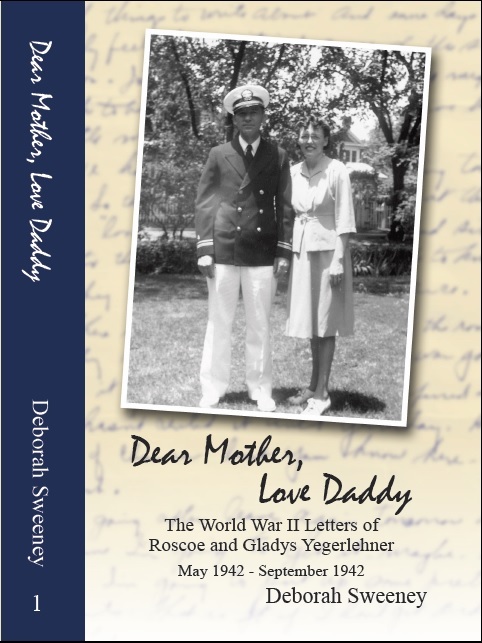 If you are aware of any museums, libraries, veterans’ groups, or military organizations who might be interested in receiving a donated copy of Dear Mother, Love Daddy, please leave a comment below or send me a message through the contact form. I have not done much to market my first book as I felt the audience was very small. The book’s target audience is the descendants of Alfred and his extended family (his siblings, their descendants, etc). Since very few records about Alfred exist and he was a migrant, his descendants have been trying to break through the brick wall of his ancestry for over a generation. The book provides a good example of a proof argument for anyone looking to expand their genealogical writing skills. Since I am trying to reach a specific target audience, I donated a few copies to several genealogy libraries, including the National Genealogical Society’s library in St. Louis. As a thank you to their members for donating books, the National Genealogical Society publishes brief synopses of donated books in their quarterly magazine, the NGS Magazine. 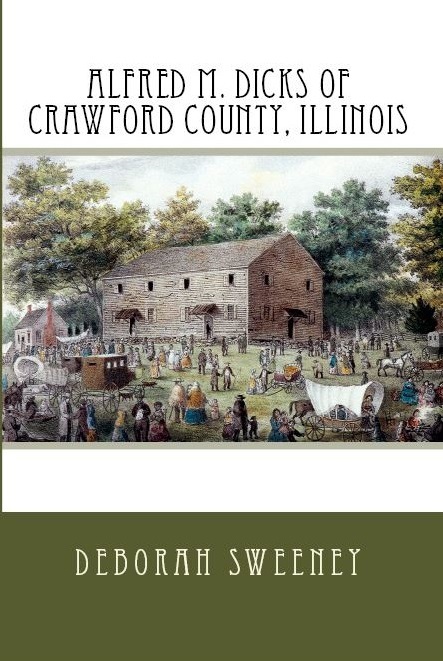 The latest issue (April-June 2015) features a synopsis of Alfred M. Dicks of Crawford County, Illinois (p. 9). As a result, I am seeing a slight increase in sales of this book (which is a completely unexpected benefit of the donation). I have been told that my ProGen certificate is in the process of being signed by all my mentors. Angela McGhie has passed on the certificates to Barbara Mathews, C.G. Rest assured, I will be posting a copy of the certificate when it finally arrives on my doorstep! I still haven’t decided what new coursework to take on yet. It’s been rather nice not having to worry about a homework assignment though. This last weekend I met with the volunteer coordinator at my library branch. Hopefully, by the end of the month, we will have our own Ask A Genealogist program up and running. Tentatively, I will be volunteering one Saturday afternoon a month to help mentor people with their genealogy problems. The library will handle booking the time slots and the advertising. This summer one of my BU classmates, Jim Walton, will be giving a presentation at the main branch of the Sacramento Library. Jim’s lecture will be based (I think) upon some of the research he did on his Walton line. 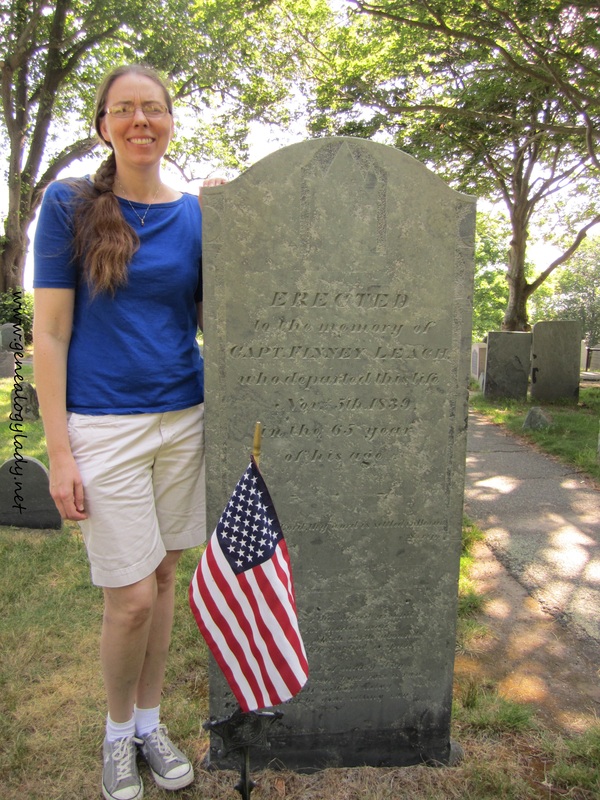 His article “John Walton, English Immigrant, New Hampshire Native, or Phantom?” was published in the December 2014 issue of the National Genealogical Society Quarterly. I continue to pin clothing from the 19th and early 20th century on Pinterest. 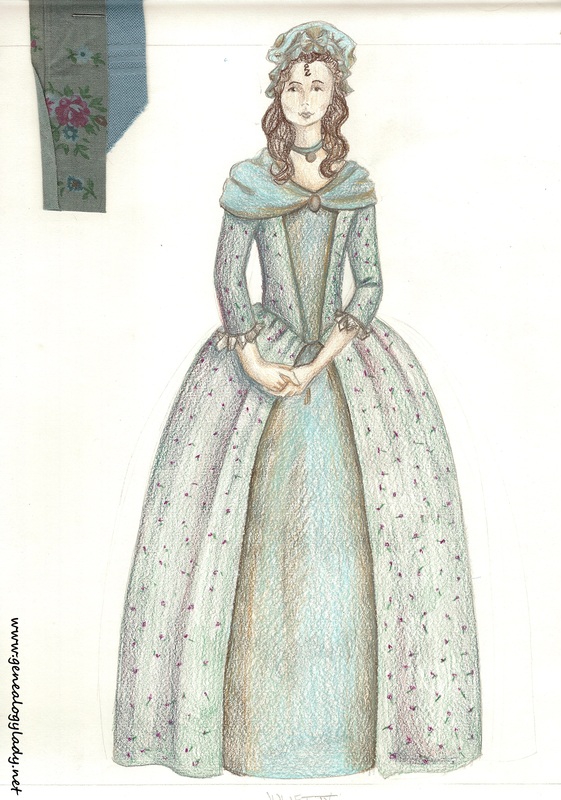 Each board covers clothing from one decade, beginning with the 1820s through the 1920s. Future boards will be for the 1930s, 1940s, and 1950s. I have published two articles in my series “Identifying Everyday Clues in Photographs.” The next article will begin to put together period silhouettes and timelines of individuals. My newest Pinterest board is Genealogy and Fashion. Links to all the articles in the Identifying Everyday Clues series are pinned there. I am continuing to work on this part of the blog, but it is one of the most time consuming aspects! While I love to read, finding the time can be hard. Many of you may not know that I am a die hard bookworm. I love mysteries, science fiction, fantasy, YA/teen literature and historical fiction. For the past few years, I have participated in an annual book challenge. One of my college friends is a children’s librarian in Massachusetts and her library runs the challenge. Previously, the contest was all about how many books could one read in a year. The goal was 50. Some years I made it while others I did not. This year the challenge has evolved to categories instead of a book count. I am currently working on my “Trilogy” requirement. I am on the last book in Deborah Harkness’ A Discovery of Witches series. While I am enjoying the series very much, I will not be reviewing on my blog. The next book I am in the process of reading for a book review is Disaster & Triumph: Sacramento Women, Gold Rush Through the Civil War by Cheryl Anne Stapp. The book focuses on six women who lived in the Sacramento area during the Gold Rush years. The author has used many historical resources to build and tell their stories. I am hoping to finish reading this book in the next few weeks. 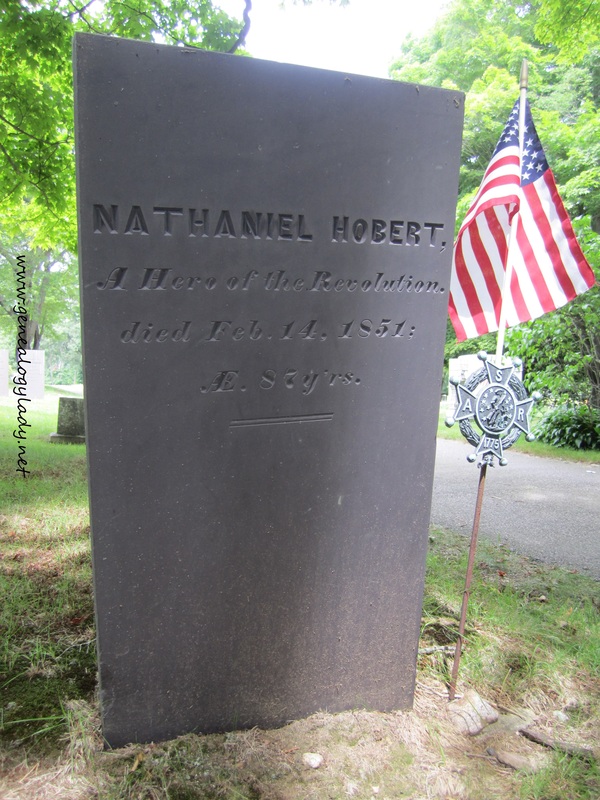 Gravestone of Nathaniel Hobert. Future subject of a Register article? I am contemplating writing an article for the “new” New England Historical and Genealogical Register. The Register was been published for 170 years and is one of the top journals of genealogy scholarship in the country. I have many New England stories I want to tell and the journal would be a perfect place to see them published. I have a couple ancestors that I used in my ProGen research and assignments so I can not really use them for my BCG portfolio (as they have already been reviewed). This entry was posted in Book Review, Clothing, Dear Mother Love Daddy, Genealogy and tagged Alfred M. Dicks, Ask A Genealogist, book review, books, clothing, Dear Mother Love Daddy, fashion, Photography, ProGen, Sacramento, Southern California Genealogy Jamboree on May 14, 2015 by Deborah Sweeney. Well, the weekly update did not exactly pan out. I kept meaning to do a weekly post but it is now a month later, and I am finally making the time to write an update. So it might be better off called “The Monthly Update” since it has been about a month since my last one. There is a book giveaway for the month of April at Goodreads. If you did not sign up for last month’s giveaway, there is still time. The contest runs until the end of the month. I gave a few copies of the book to Nichelle Bara of Copper Leaf Genealogy. She is a genealogist is northern Indiana and the St. Joseph’s County ICG. She is in the process of writing a review, and she is going to be running a contest to give a way a couple copies of the book. Stay tuned for links to the review and instructions of the contest! If you are interested in purchasing an autographed copy of the book, I am selling copies. The cost is $21. The price includes one book, one autograph, and priority mail shipping within the U.S. Please contact me through the contact page/form tab if you are interested. The book is still available on Amazon.com and Barnes & Noble online. Follow the link on the right hand side of the blog to purchase directly from Amazon. I now have an official press release for the book, and have submitted several copies to local bookstores. If you are interested in obtaining a copy of the press release, please contact me. 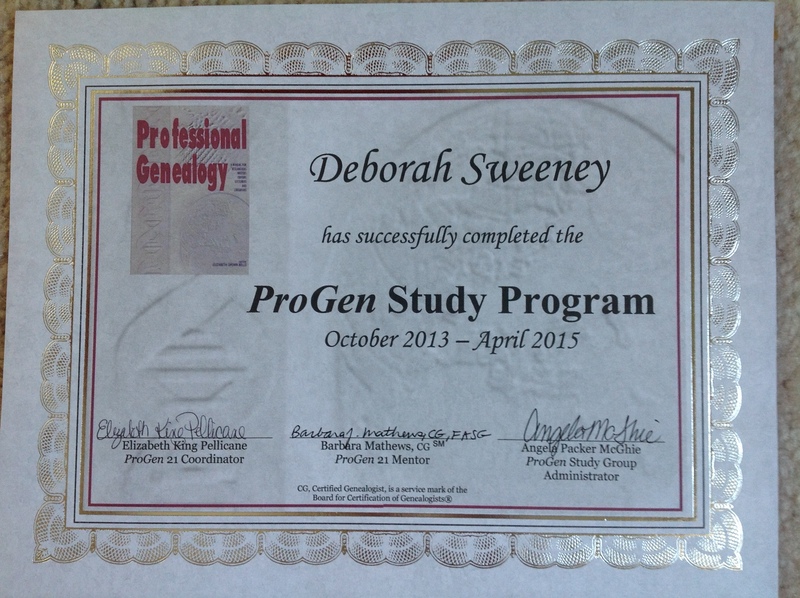 I am now an official graduate of the ProGen Study Group program. I am waiting for my certificate to come in the mail! I recommend the program highly to anyone who is interested in advancing their genealogy skills to a higher level. I attended the Sacramento Roots Cellar Spring seminar with D. Joshua Taylor as the keynote speaker in March. It was a wonderful educational experience. As a result, I have started revamping the way I organize my genealogy files. I have also started using Google sheets to catalogue some of my projects as well as using Google’s tools to communicate with my clients more effectively. One of the first projects I started was making a catalogue of the World War II letters. So far, I have included all the letters from Dear Mother, Love Daddy. I still haven’t decided what educational opportunity I should try next. However, I am starting to look ahead to which projects I should use for my Board of Certified Genealogists portfolio. Among the samples I have to include are: a research report prepared for a client, a case study (proof argument using conflicting or indirect evidence), and a kinship-determination project (lineage). The biggest task is choosing projects that have not been previously evaluated or published. I have used some of my family research for projects while studying for my Boston University certificate and the ProGen Study group. Those are off limits! The portfolio must be diverse in scope as well. I have to explore different types of genealogy problems, using a wide variety of records and sources. I was able to meet with the branch manager of my local library in regards to starting some genealogy programming. We have tentatively set a date in September for an introduction level round table event. 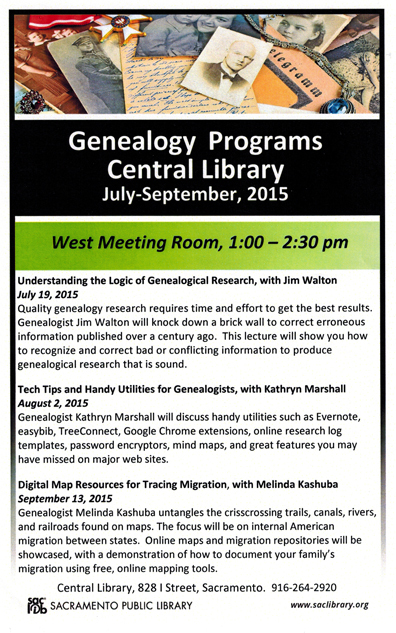 I am mulling over all the things I want to say to beginning genealogists. I have to create a 20-30 minute presentation. One of things I have come up with is…always start by documenting yourself! 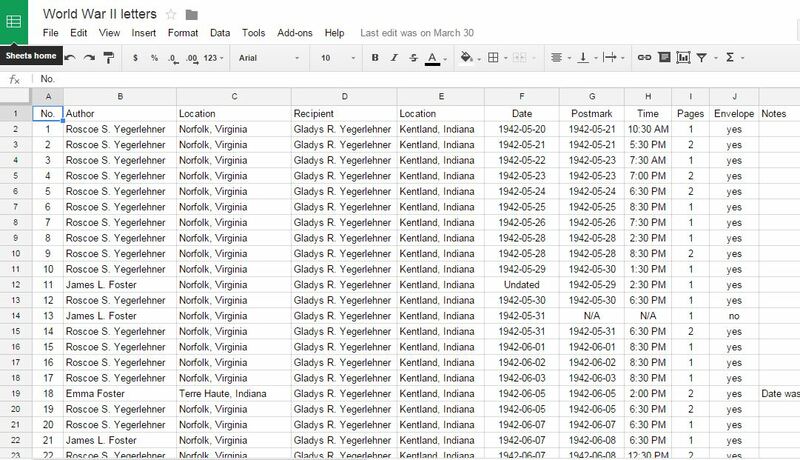 I think everyone has the tendency to jump ahead to great grandma or the ancestor who reportedly served in the Civil War. It is important to build a solid foundation from the beginning. Lots of information can be gleaned from your own birth certificate. I was pleasantly surprised this month to get a high level match on my maternal side of the family. Since my grandmother was an only child AND she did not have first cousins on her maternal side, there are not many people I can ask to spit for me. In addition, she comes from old New England which is infamous for endogamy. She has a lot of pedigree collapse in her tree. I have occasionally discovered 9th and 10th cousins who appear as closer relatives, but nothing substantial. The new match appears as a 2nd to 3rd cousin, but is actually a fifth cousin to me on paper. This is partly due to the pedigree collapse and to a large portion of shared X chromosome. The X chromosome has a unique inheritance pattern due to male/female inheritance. Males only get one from their mothers, while females get two (one from each parent). It’s almost like DNA playing hopscotch! Of course, this new match has renewed my interest in researching my Howard family lineage. I am descended from John Howard of Bridgewater, Massachusetts, through over 8 different lines of descent. I am considering writing a few blog posts about clothing and fashion trends in the future. Please let me know if this is something that would appeal to you. 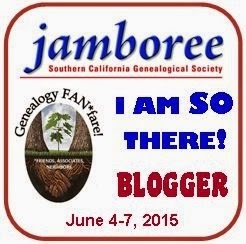 I am getting more excited about the Southern California Genealogy Jamboree in June. This will be my first opportunity to meet some genealogy rock stars in person as well as to connect with some fellow genealogists I know only from online. I am an honorary blogger as well. 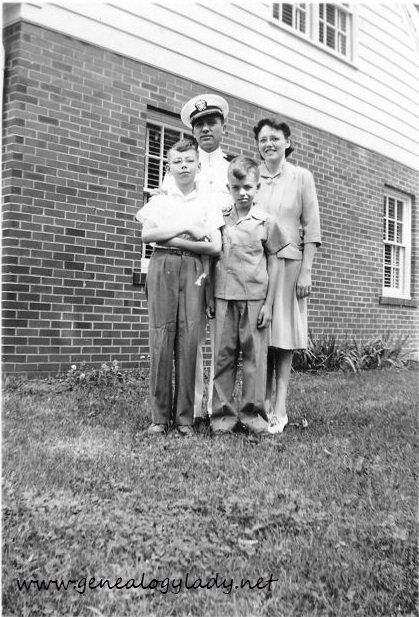 This entry was posted in Dear Mother Love Daddy, Genealogy and tagged Boston University Genealogical Research Certificate, clothing, Copper Leaf Genealogy, D. Joshua Taylor, Dear Mother Love Daddy, genealogy, genetic genealogy, Howard, kinship-determination project, photographs, pinterest, ProGen, Sacramento Roots Cellar, Southern California Genealogy Jamboree on April 18, 2015 by Deborah Sweeney.